Robin Hendrick of Rochester and her husband get two to three Home Chef meals a week. Robin with her Home Chef meal. Recipes are marked as “heart healthy” or “carb conscious.” There is a Classic Plan and a Value Plan. With the Classic Plan, you can complete a personal taste profile; you’ll then be matched with weekly meal selections that meet your dietary restrictions and preferences. In addition, you can add smoothies and fruit baskets to your order. Some menus also contain breakfast and/or lunch items. On the day we checked, these were some of the meals on the menu: Ribeye Steak Quesadillas, Garlic and Lemon-Crusted Salmon, Bone-in Pork Chop with Maple Butter, Hawaiian Turkey Burger, Roasted Skin-on Chicken, Pork Shumai Meatballs, Empada Rice Bowl, and Artichoke and Tomato Flatbread. Check the website for pricing and special promotions. When comparing plans, be sure to check if there is a delivery cost, if the packaging is recyclable, if you can skip meals, and how far in advance you can cancel. 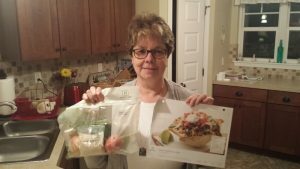 Melaney Bernhardt of Rochester uses Kitchen Verde. 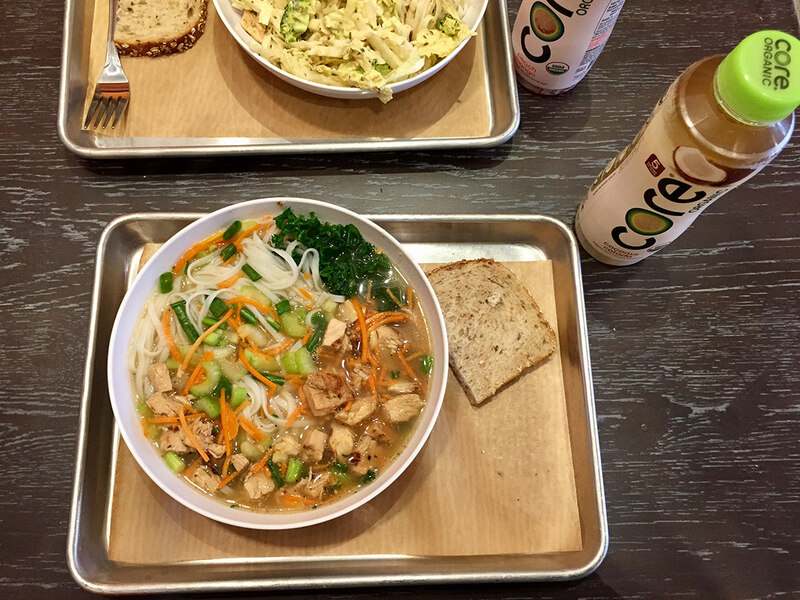 “The meals are plant-based and oil-free and fantastic. They use seasonal ingredients and always taste great!” said Melaney. Sarah Goodenough developed the Rochester, New York-based Kitchen Verde meal service after losing 156 pounds on a plant-based diet. Sarah is a registered nurse who is currently working on a certification in plant-based nutrition through the T. Colin Campbell Center for Nutrition Studies at Cornell University. Her new lifestyle has motivated her to help others improve their health and quality of life. Check the website for the week’s offerings and costs for breakfast, lunch/dinner, snack boxes, organic cold press juices and “guilt-free” desserts. Breakfast meals: Spicy Tofu and Black Bean Breakfast Burrito, Chocolate Raspberry Parfait, Chocolate Almond Butter Pancake, and Spinach Artichoke Quiche. Lunch/dinner meals: Chipotle Tofu Burrito Bowl, Lasagna, Chili Sans Carne with Cornbread, Goulash, White Bean Loaf Plate, Broccoli and Rice Casserole and Onion and Pepper Quesadilla. In Monroe County, you can have meals delivered for a $5 charge. Alternatively, on Sunday, you can pick up meals at 777 Culver St., Rochester, between 10 a.m. to 3 p.m. If you live in Ontario County, you can pick up meals at the Sands Cancer Center on Mondays from 4:30 p.m. to 6 p.m.